This is Versailles: "Wounded in the King's Service"
With two monarchs who shared a love for women it is hardly odd that Louis XIV and Louis XV fathered their fair share of bastards. However, not all pregnancies went to plan. The poor hygiene of the age and a lack of basic knowledge about the female reproduction system meant that childbearing was a dangerous thing. While some experienced miscarriages, others succumbed either during or after delivering. Such subjects were not welcome in polite society - although "polite society" also consisted of women who knew all about it - certain terms were invented to spread news of the like. Thus, whenever a woman had miscarried a child by the king it was said that she had been "wounded in the king's service". However, this would also be used in other senses; "the king's service" could mean more than that of sharing his bed. Most royal women were considered to have one primary purpose: to bear children. So, when a woman married to an heir to the king miscarried the same term could be applied. For example, when the Duchesse de Bourgogne miscarried it was said that she had been thus "wounded". In this instance there was a certain reason for dragging the king into this: he had insisted that the heavily pregnant duchesse travel with him to Fontainebleau. It is possible that Louise de La Vallière suffered a serious miscarriage. In 1670 it was noticed that her body was becoming slimmer and she looked more "haggard". Some attributed this change to the strain of living with the king's new favourite - Madame de Montespan - while others pointed at the likelihood of a miscarriage. 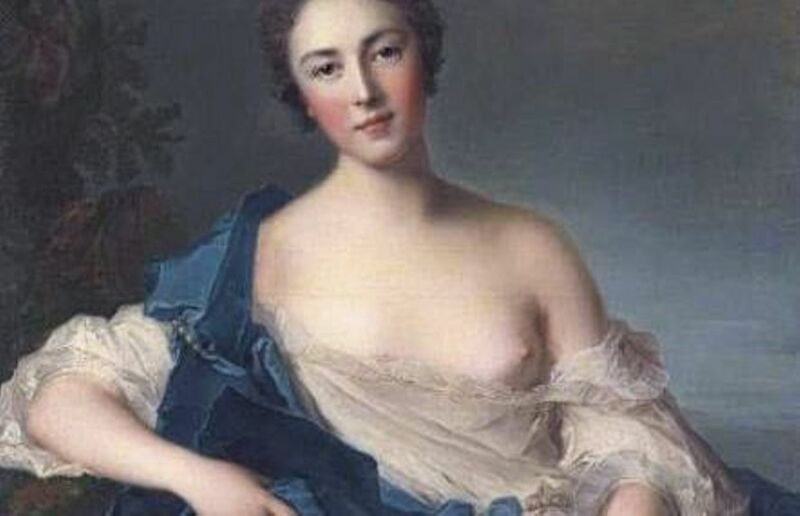 Mademoiselle de Fontagnes came close to replacing Madame de Montespan although her reputed stupidity probably prevented that. She had fallen pregnant by Louis XIV in late 1679 or early 1680. After she failed to be present at the wedding of Mademoiselle de Blois (Louis XIV's illegitimate daughter) courtiers started speculating if Madame de Montespan had finally gotten rid of her. However, it was soon leaked that she had suffered a miscarriage - some sources claims that she suffered two. She would never recover from the ordeal and died shortly afterwards. Madame de Pompadour suffered two miscarriages (1746 and 1749) which may have hastened the end to her physical relationship with Louis XV. It is possible that she suffered a third miscarriage in 1747. The last one could have had far more dire consequences but eventually she rallied. According to the Marquis d'Argenson, Louis XV remained by her side during her recovery. Marie Louise O'Murphy came close to paying the ultimate price "in the king's service". She fell pregnant by her royal lover in 1753 only to suffer a severe miscarriage. For a while her life was in the balance and most courtiers thought she would die. However, she lived only to be ousted two years later. Much the same fate befell Pauline Félicité de Mailly, Marquise de Vintimille, who had fallen pregnant by Louis XV in 1741. Unlike many others of the time she carried the baby to term but the birth proved to be difficult. About a week following the delivery she was suddenly seized by convulsions and died. It is not unlikely that her death was caused by complications at the delivery or by a lack of hygiene. The Marquis d'Argenson claimed that she died of so-called military fever but notes that it seems to afflict women recovering from their confinements rather than others. This could very well be a result of lack of hygiene.